Interested in the aforementioned notorious combo? Grab your bathing suit and friends to make a day out of frozen cocktails by the pool at The Drifter Hotel (3522 Tulane Ave.), a quirky hotel in Mid-City that features poolside pink turf and clever cocktail lists for the free spirits of New Orleans. Spinning in circles at eye-level when you enter the joint sit two frozen drink machines that churn out some of the tastiest frozen drinks we’ve ever encountered. We should mention, though, that tops are optional! If you’re looking for someplace that’s just as hip and happening as The Drifter, but where bathing suit tops are highly encouraged, we’d suggest checking out the rooftop bar at the Ace Hotel (600 Carondelet St.). Not only are the views from this high-rise breathtaking, the famous Eternal Summer—featuring freshly squeezed orange juice, honeysuckle vodka, and coconut—is also a favorite frozen drink of ours this summer. 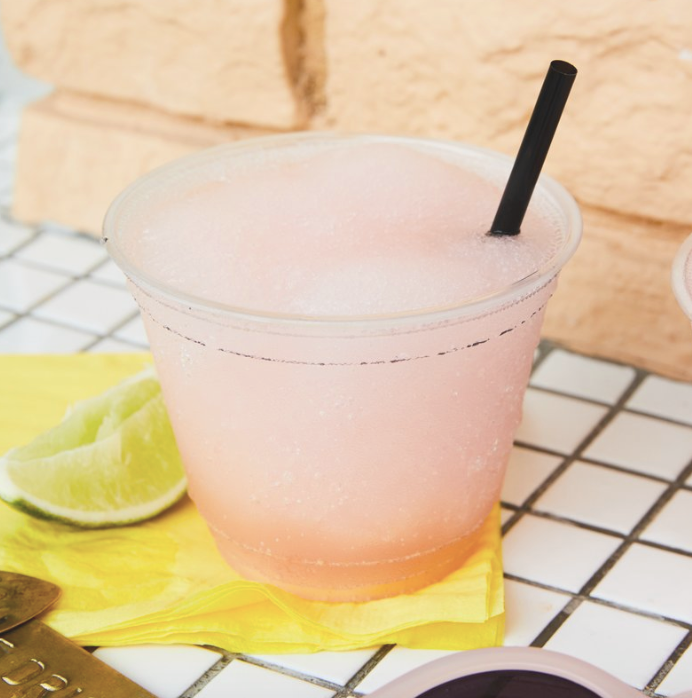 Though this outdoor space lacks a pool, The Tchoup Yard (405 Third St.) makes up for the heat with a frozen drink called The Iceberg, not to mention the varying flavors of refreshing Frozé or frozen margaritas. Tcoupyard is a great place to sit outside and enjoy New Orleans’s summer evenings under twinkling lights (and perhaps the buzz of two or three Raspberry Frozés!). 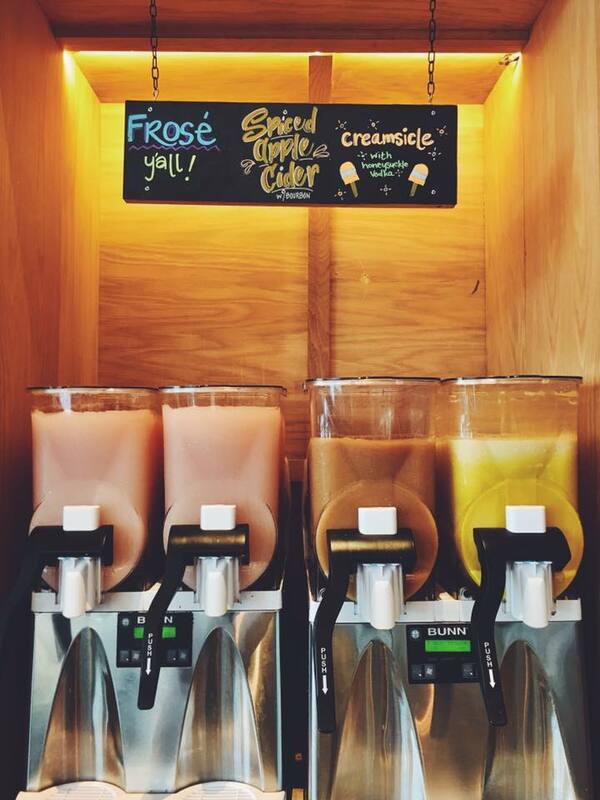 Speaking of twinkling lights, however, it would be a crime to neglect mentioning $5 Frozé Fridays at Chais Delachaise (7708 Maple St.). 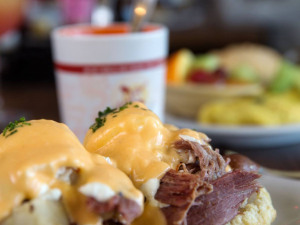 Located in the Uptown district, this French bistro features an extensive wine selection as well as dining options. Ask to sit outside on the patio: It’s covered by greenery, a red-awning, and string lights—setting the perfect atmosphere for a successful Frozé Friday. While we’re still on the topic of our love affair with frozen rosé, my mother would be quite rattled if I didn’t mention her favorite restaurant and drink in New Orleans, the Pink Frosé at Willa Jean (611 O'Keefe Ave.). Willa Jean already receives a remarkable amount of attention for a variety of incredible culinary feats (my favorite masterpiece being the raw cookie dough and milk), but their frozen drinks are so absolutely A-1. I have to give them a spot on yet another bests list. If you’re ready for a night out on the town (or even an afternoon! ), the bar 1908 at Pythian Market (234 Loyola Ave.) serves a Watermelon Paloma, described as “a tequila-based fiesta with a Campari kick” by their frozen drink menu. Though options are limited to about 2 frozen drinks, the quality of said alcoholic icees at 1908 are up to par with restaurants specializing in frozen drink. Now not many restaurants actually specialize in frozen drinks, but there are a couple that have been known for their daiquiris and whatnot throughout the years. 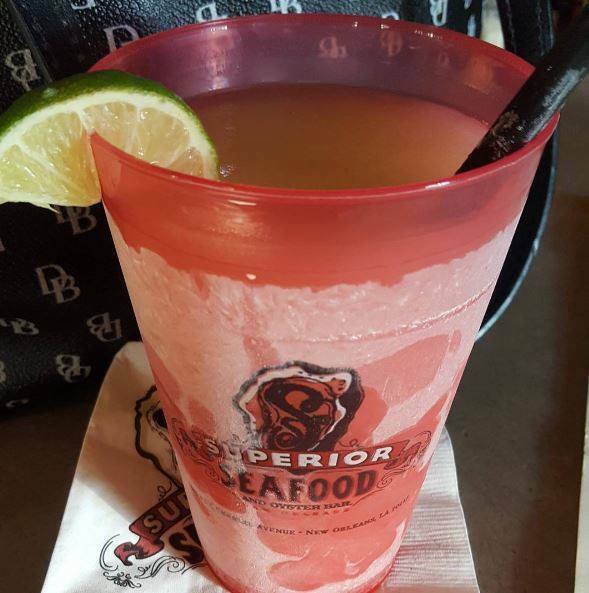 One of those famous staples is New Orleans’s classic Superior Seafood (4338 St Charles Ave.). Specifically, our favorite frozen drink from their selection is the Frozen French 75. 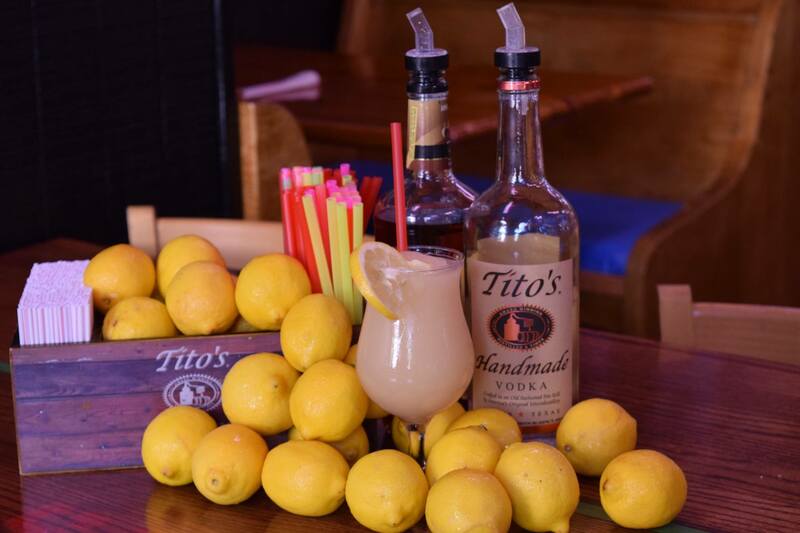 Similar to the summery tastes of the French 75 is the Frozen Tito’s Lemonade at Lucy’s Retired Surfers Bar and Grill (701 Tchoupitoulas St.). Not too sugary and not too sour, this drink is a lovely accent to a summer evening. Another Frozen Lemonade that is absolutely worth mentioning is featured at the very popular restaurant Cavan (3607 Magazine St.). We have a couple more restaurants on our list. 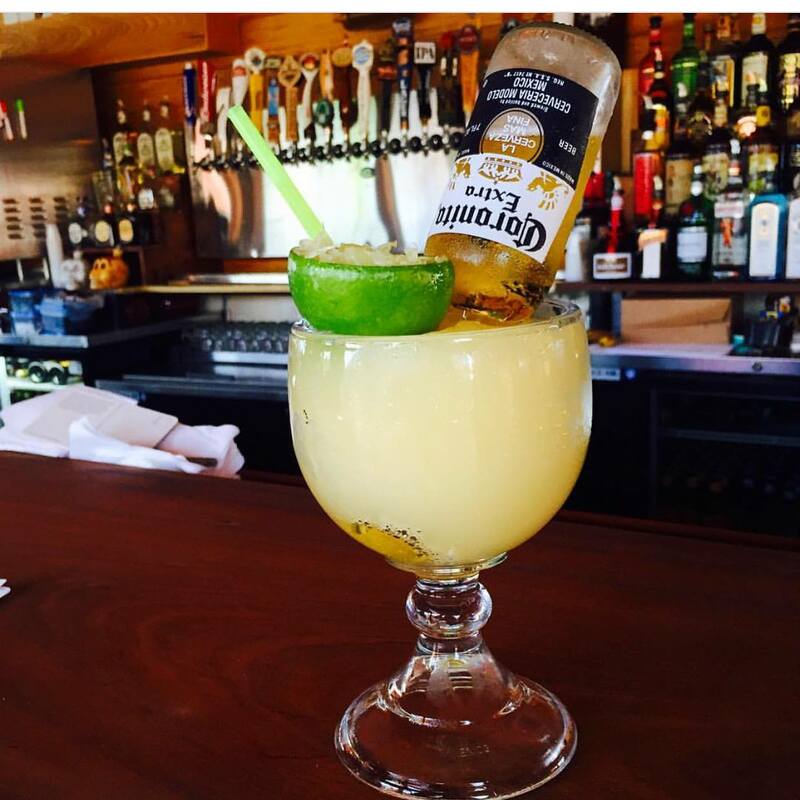 Carreta’s Grill (Various locations) serves one of the most notable frozen margaritas. Utterly unique in flavor and texture, the ice in this margarita can almost be described as silky—a must-try for all frozen margarita seekers. And the last, but the not least, of restaurants on our list of best frozen drinks in New Orleans is Antoine’s (713 St Louis St.). Their Golden Cadillac is a fascinating frozen combination, perfect for the adventurer and the traditionalist.